Aren't these the cutest things you have ever seen? 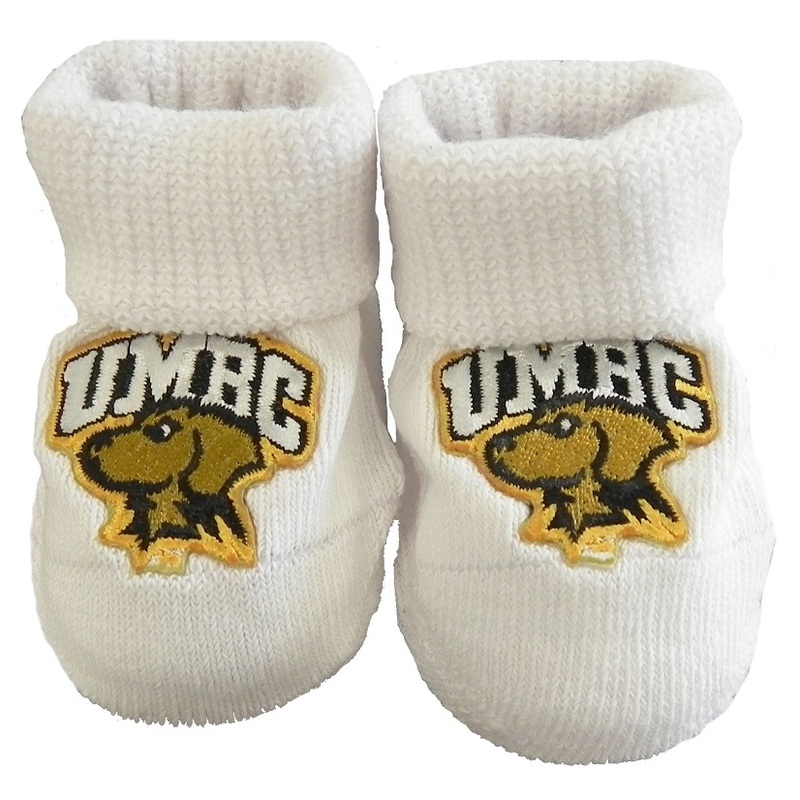 Style your future tailgater with these precious booties before it's too late! 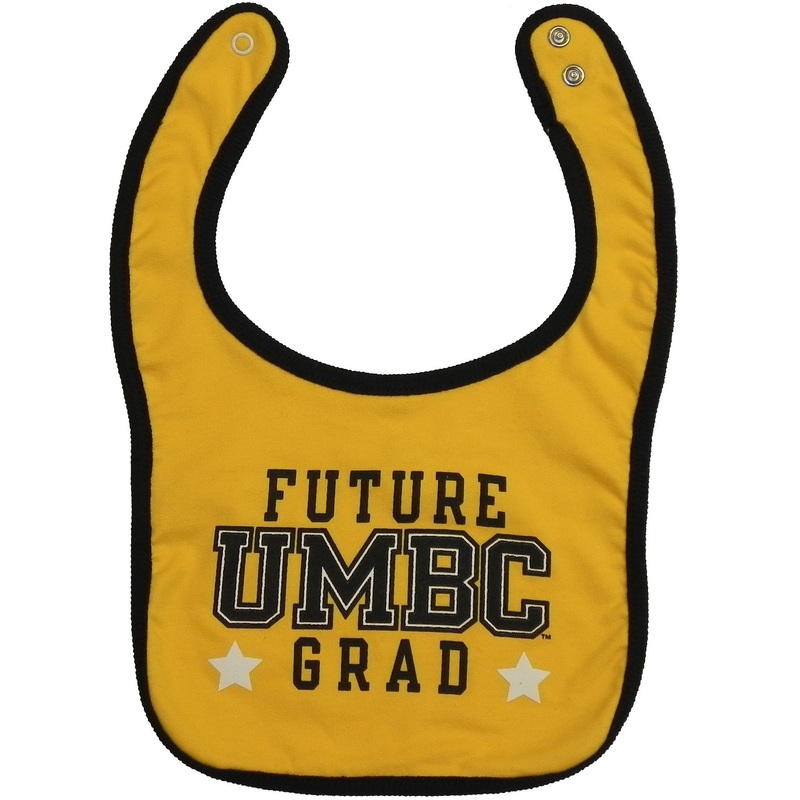 When your child does actually graduate from UMBC, bring this bib out of storage. You're a psychic! 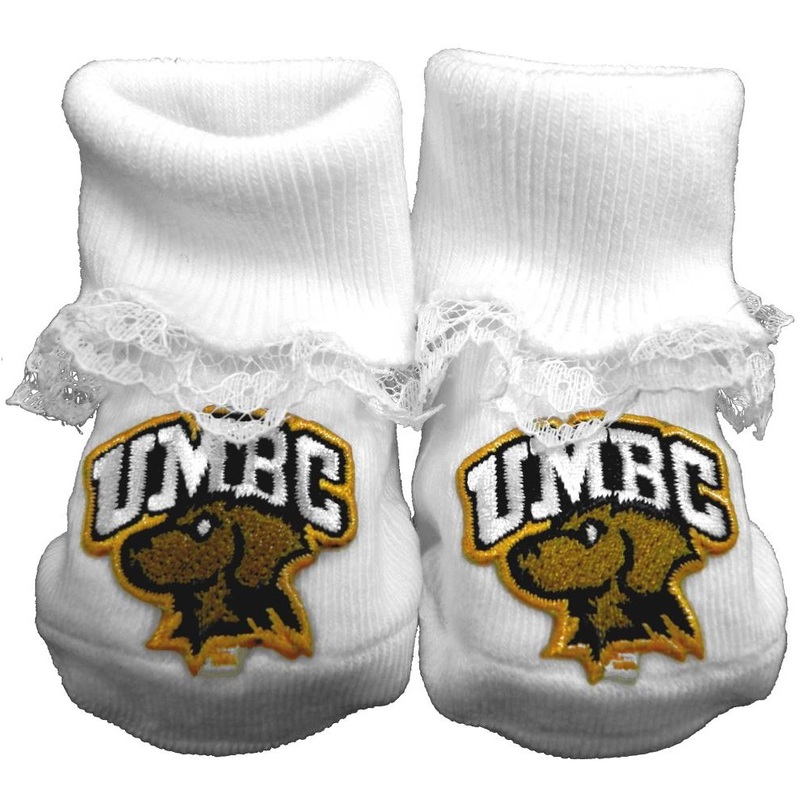 Please select option for BABY: FUTURE RETRIEVER ONESIE. There are a variety of purposes for receiving blankets -- from wrapping up the baby at birth to using a clean surface for diaper-changing. 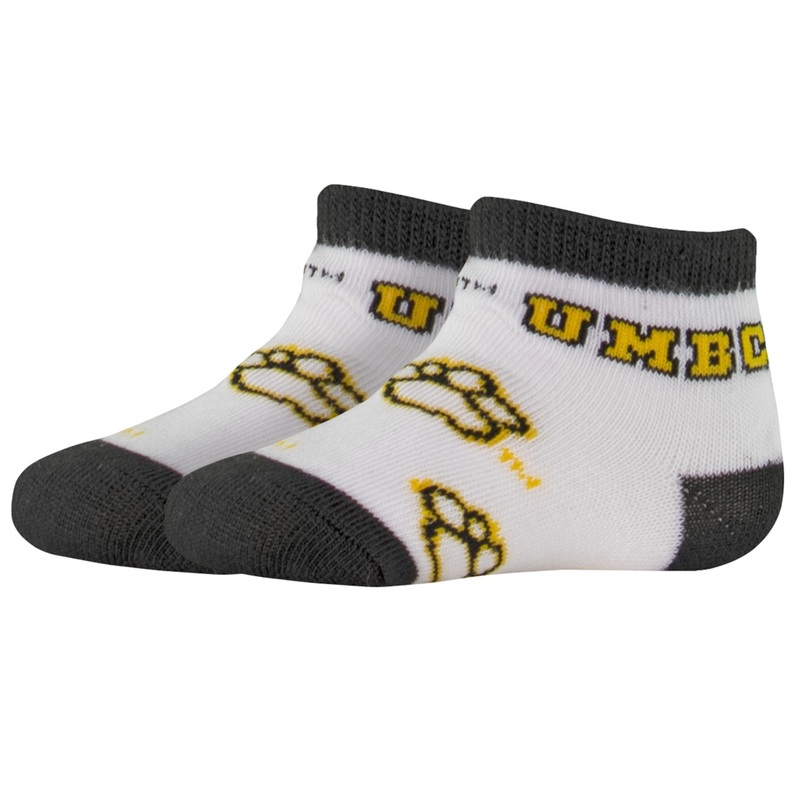 But, a receiving blanket with the UMBC Retriever logo will also let people know you're proud to be a Retriever! 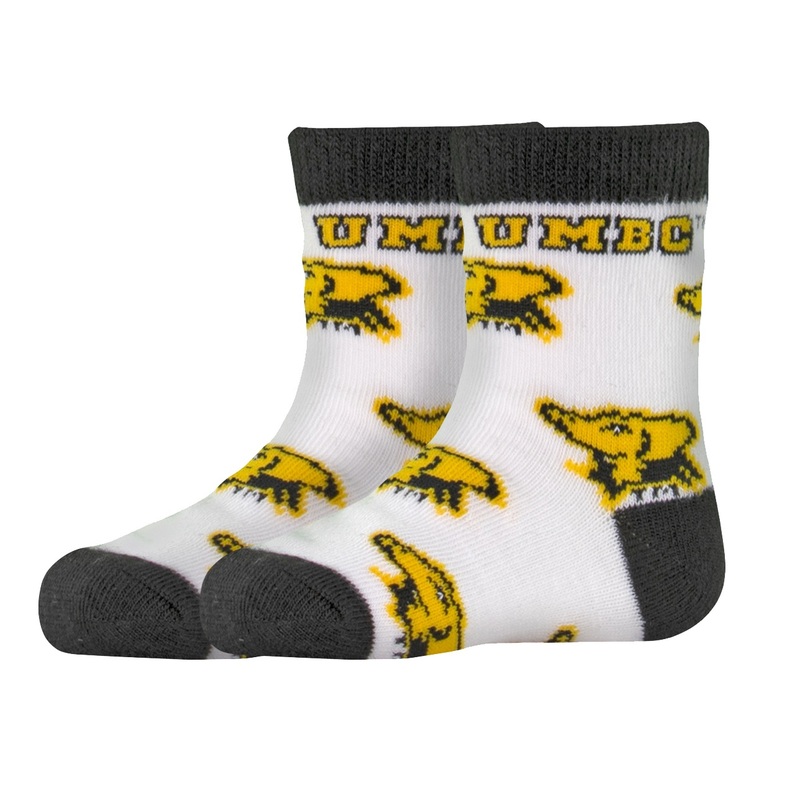 Dress up your future tailgater in UMBC gear! 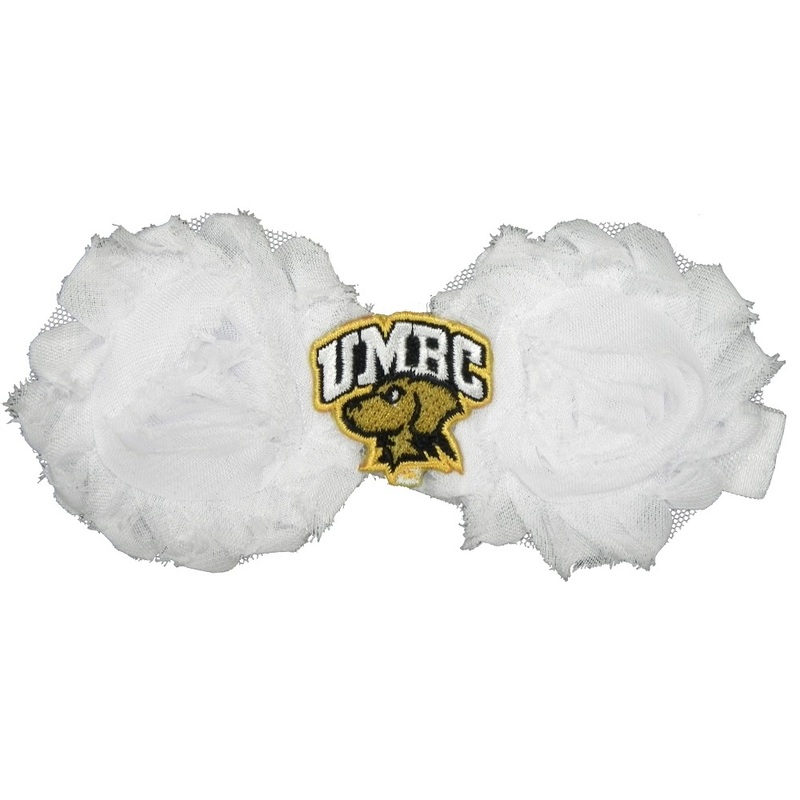 Please select option for BABY: SHABBY FLOWER HEADBAND. Manufacturer: Twin City Knitting Co. Babies aren't picky about what they wear, but instill in them a standard for excellence from the start! 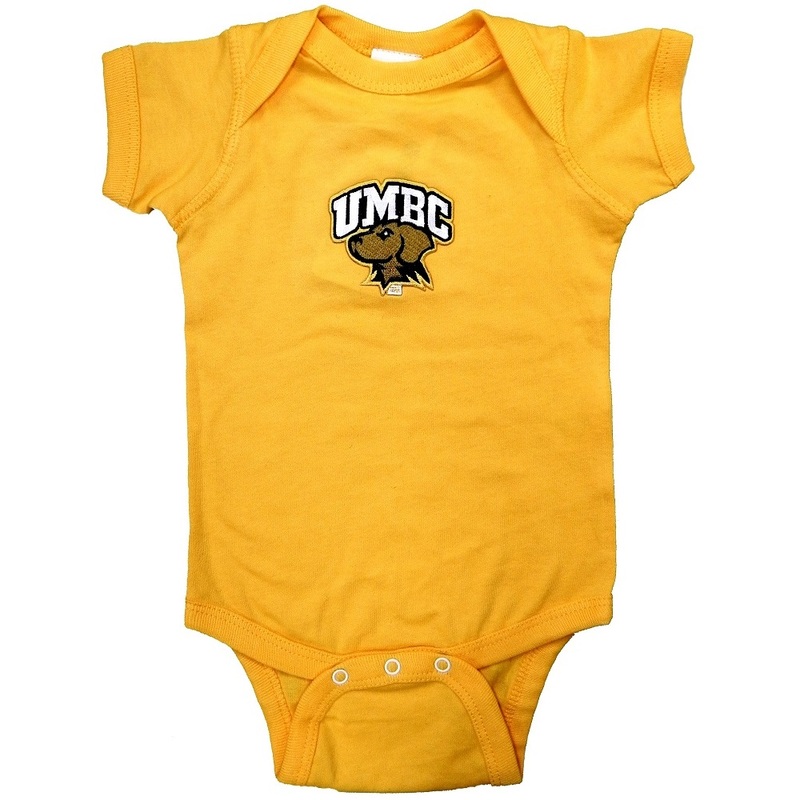 Please select option for BABY: TEAM SPIRIT ONESIE. Don't you think your baby will look so happy in this adorable outfit? Could be gas, sure, but let's give the credit to the cuteness instead! 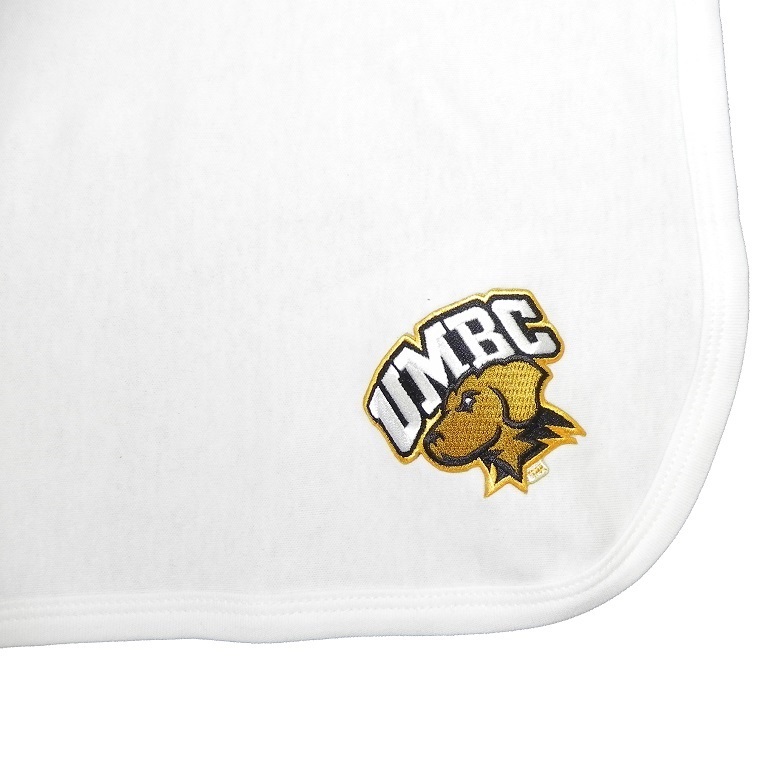 Please select option for BABY: UMBC PAW DIAPER SHIRT. 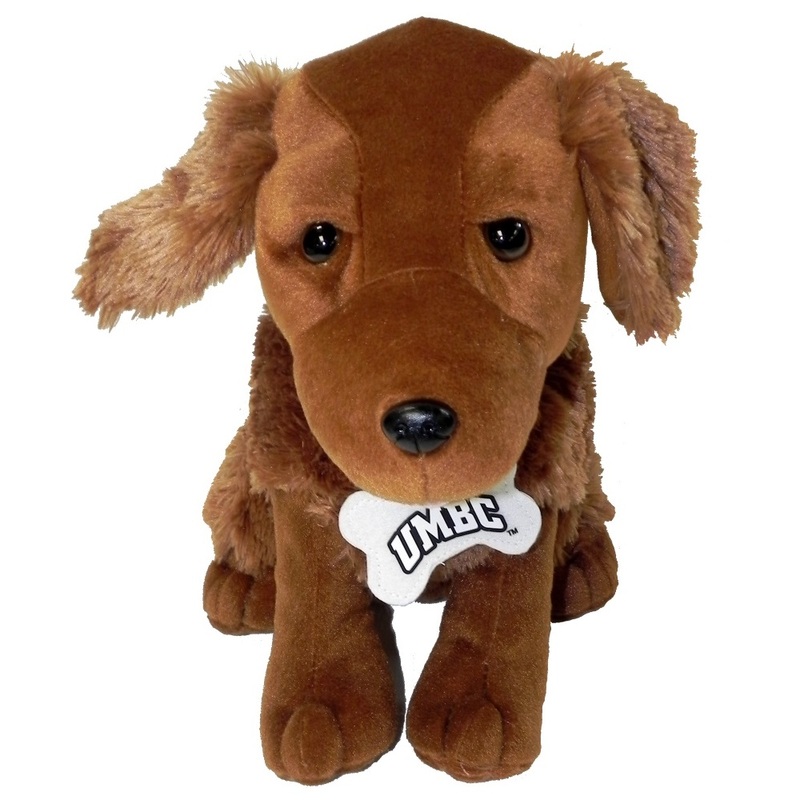 Soft and cuddly, this plush Retriever dog easily stands up on flat surfaces, and is just adorable to look at. 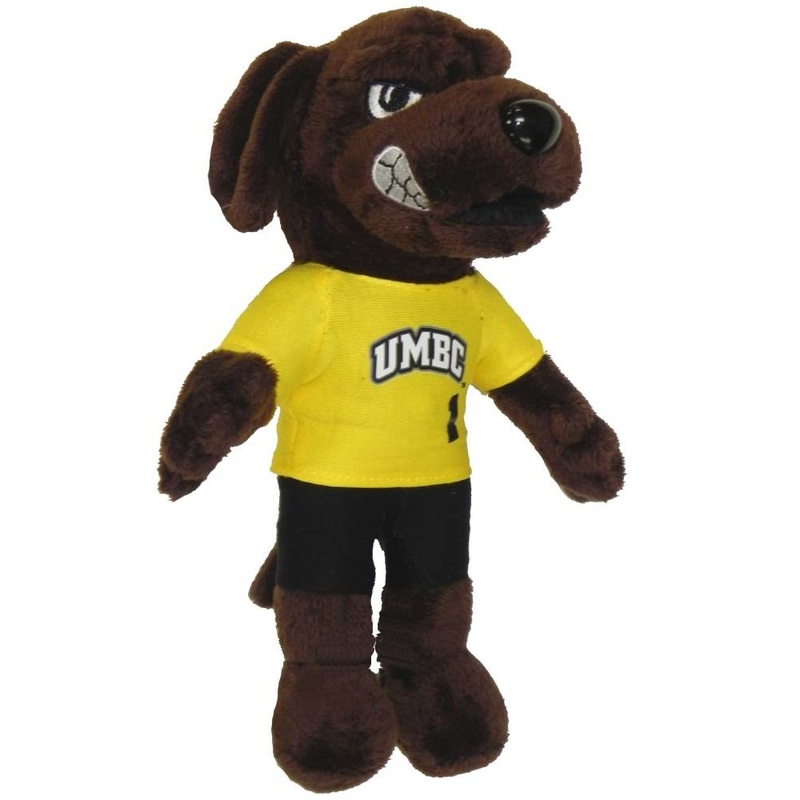 A UMBC dog tag is tied around the neck. 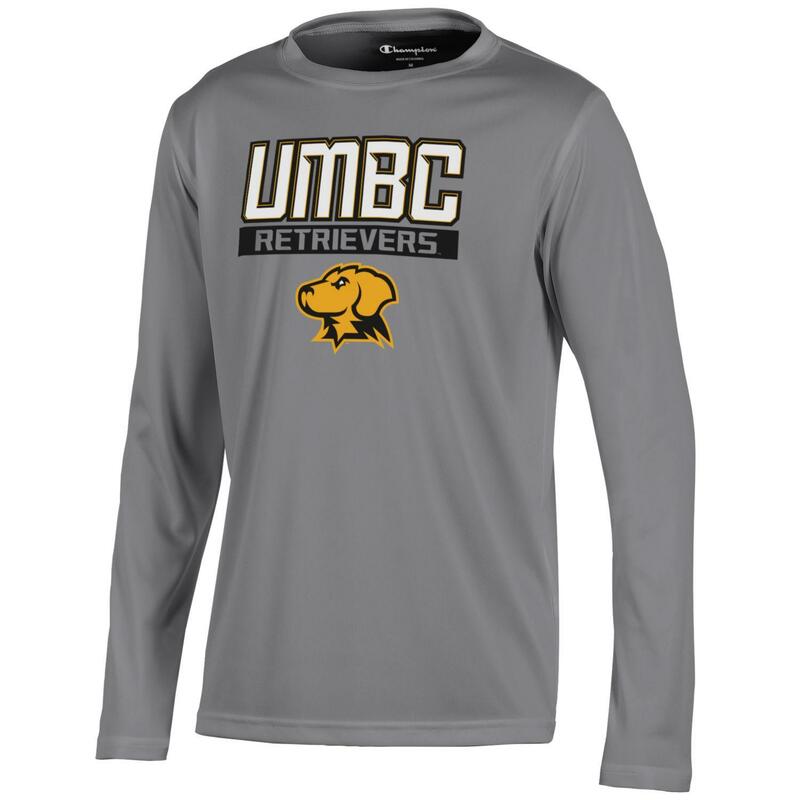 Please select option for YOUTH: ATHLETIC LONG SLEEVE T-SHIRT. 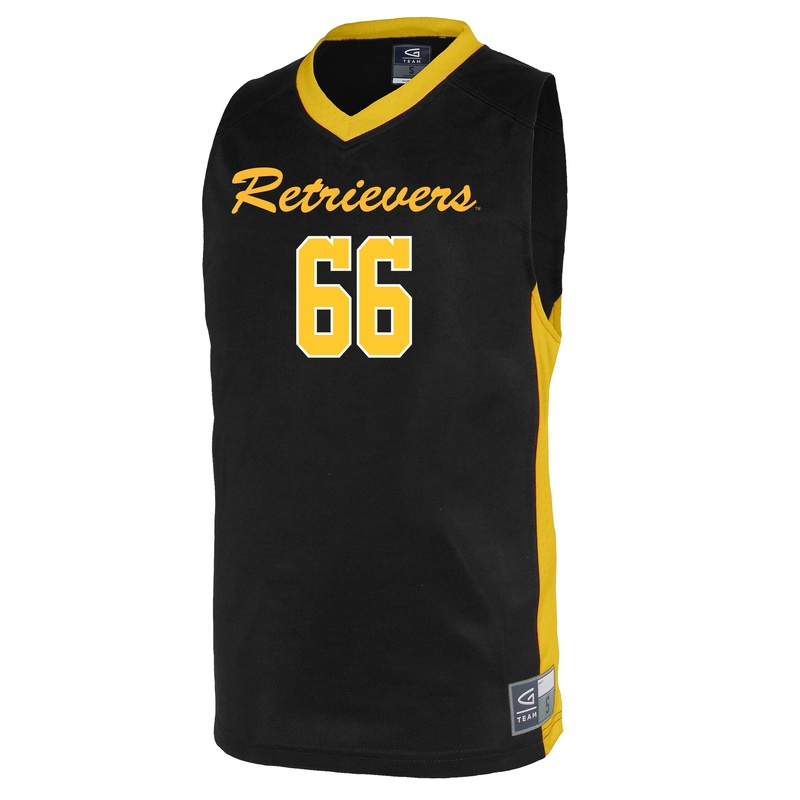 Manufacturer: Garb Alternative Sportswear, Inc. Please select option for YOUTH: BASKETBALL JERSEY. 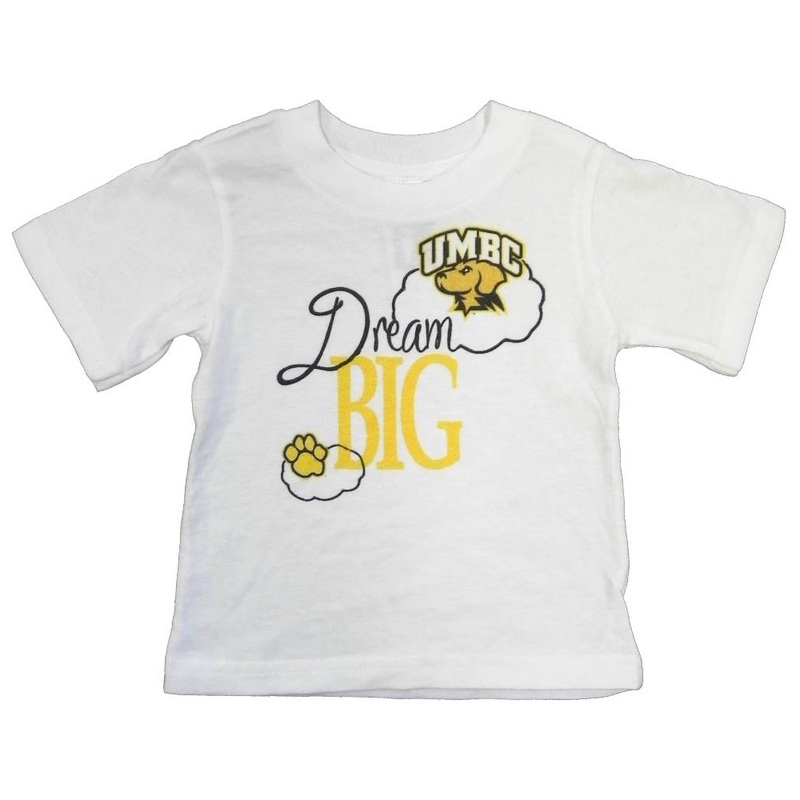 Please select option for YOUTH: DREAM BIG T-SHIRT.